Comcast's $31 Billion Bid For U.K.-Based Sky Complicates Murdoch Plans : The Two-Way Rupert Murdoch had decided to take over the British media giant and flip it with other 21st Century Fox properties in a sale to Disney. But Sky directors have pulled support from his bid. Sky's independent directors have withdrawn their support for a deal for 21st Century Fox to buy the British company, setting the scene for a possible bidding war. On Wednesday, the Comcast Corporation made a formal bid to buy a majority control of Sky in a deal valuing the British company at $31 billion. Murdoch's 21st Century Fox already owns 39 percent of Sky — a company he founded more than a generation ago — and in late 2016, Fox had struck a deal to acquire the rest. Now, Sky's independent directors have withdrawn their support for the Fox deal, as Comcast offers a 16 percent premium above Fox, and that sets the scene for a possible bidding war. Looming over the shoulder of 21st Century Fox is the Walt Disney Co. Disney struck a deal to buy most of its entertainment properties, including its stake in Sky. That deal awaits approval of U.S. regulators. 21st Century Fox said in a brief statement that it was committed to its initial offer and was considering its options. To recap: the Murdochs sought to buy 100 percent of Sky and then flip it to Disney. Comcast is seeking at least 50 percent of Sky and is likely to win the interest of the owners of all the 61 percent not held by the Murdoch family. It's open season for Sky, which has a major satellite television and broadband internet presence in Austria, Germany, Ireland and Italy in addition to the U.K. Sky also is a major producer of movies and TV shows and a holder of major European sporting rights. Fox can only sell its stake with the approval of Disney, which may help Fox back a new, higher bid for Sky. The Murdochs' bid for total control of Sky — in the works for nearly a decade — has been tripped up repeatedly by concerns of British regulators and officials over the Murdochs' record at the other media properties they control. An initial bid derailed over bribery and hacking scandals at the Murdochs' U.K. tabloids in 2011. This newer bid has tripped over the Murdochs handling of the sexual harassment crises at Fox News. In addition, British government officials demanded protections for Sky News, a broadly admired outlet, saying Rupert Murdoch might influence too much of the news media in the U.K. if he had full control of Sky. The concerns stemmed from the strong political views that often infuse Murdoch's tabloids and his ties to President Trump. Regulators also cited Fox News' circulation of conspiracy theories on such subjects as Benghazi and the death of Seth Rich. 21st Century Fox pulled Fox News from the air last year in the U.K., a blow to prestige if not profits, as the channel had very small audiences there. 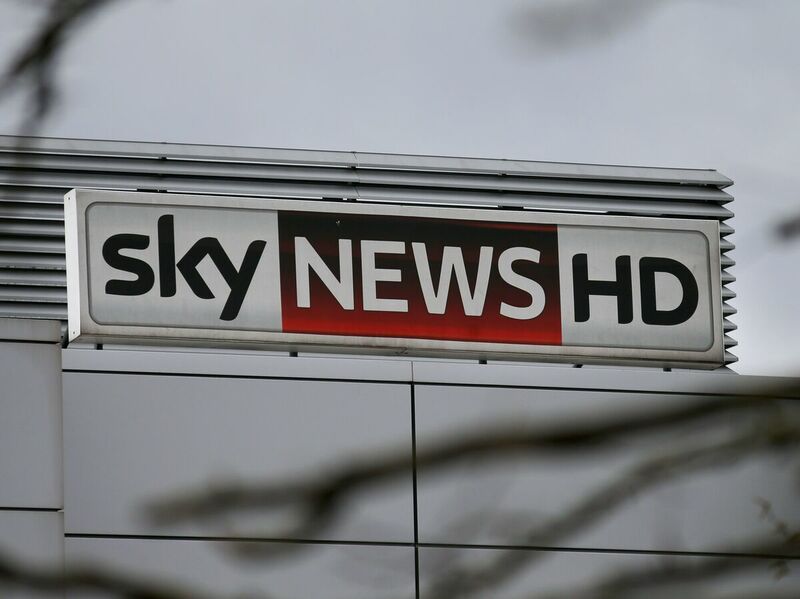 Earlier this month, Fox said Disney would be willing to buy Sky News outright, a move that would shield it from the Murdochs' real or perceived influence. The U.K. Competition and Markets Authority, a British antitrust regulator, is expected by Tuesday to report whether it approves Fox's bid, with or without qualifications. The U.K. Secretary of Digital, Culture, Media and Sport, Matt Hancock, is currently expected to render a final decision by mid-June. As a result of the intrigue over Sky, Comcast and Fox/Disney could end up fierce competitors, partners, deal-makers — or all three.